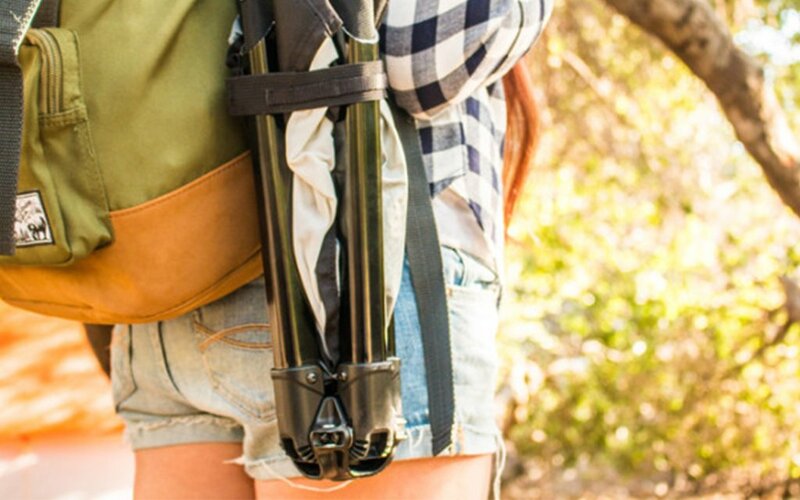 Ever Seen a Camping Chair the Size of a Water Bottle? Ever notice how when people sit around a campfire in the movies, there’s always a perfectly planed and sanded log ready to accommodate their sing-a-longs, whiskey swigs and at-large revelry? Well, real life is a tad different. 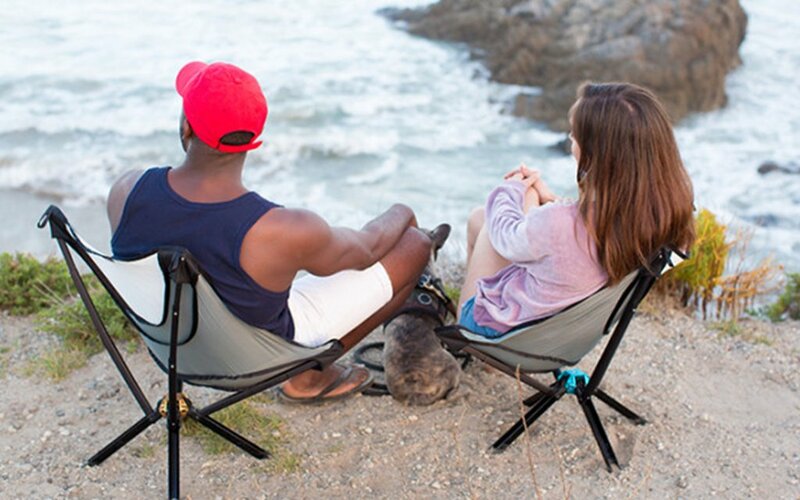 You usually need to bring chairs along, and chairs take up space, whether in your trunk or on your back. 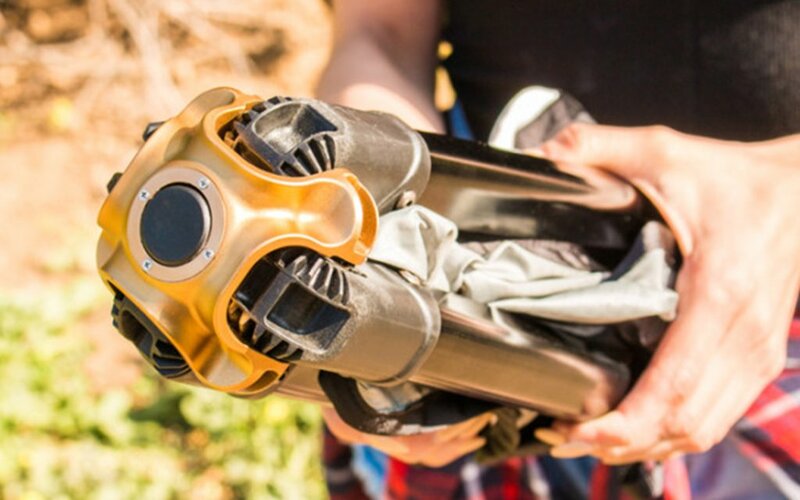 Here to ensure you can pop a well-earned squat without the bulk: GO CHAIR, a Santa Barbara upstart now funding on Indiegogo that makes a sturdy seat that packs down to the size of a water bottle. The chair weighs three pounds, can support up to 300 lbs. and hovers 10 inches off the ground when erected … which will take you no more than a few seconds. Simply press a button and extend the arms out; it’s pretty much an umbrella. 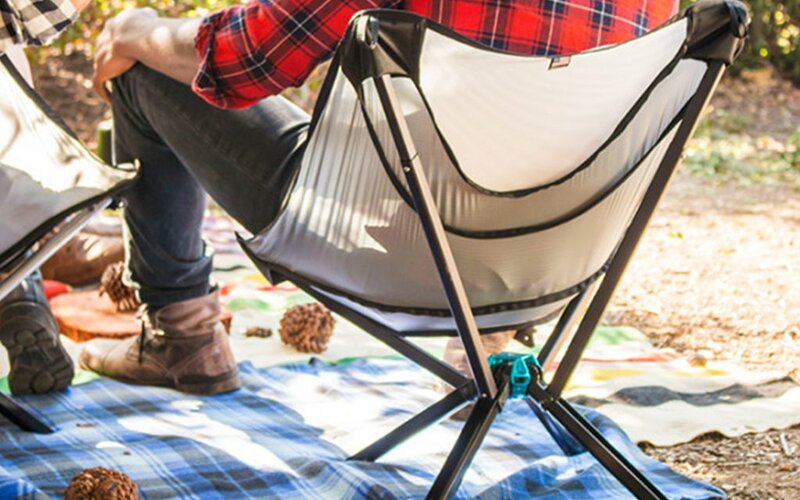 GO CHAIR is constructed from waterproof nylon and aircraft aluminum, with rubber tips and hitches that attach to the side of a backpack. But most importanly, it looks a delight to sit down in, thanks to legitimate back support. This isn’t one of those flimsy tailgate stools better served for a high school percussionist; there is some serious reclinage available here. Oh, and with 17 days left on Indiegogo, it’s raised nearly 1,400% of its original goal. Yeah. Find info on early-bird specials here.